Ever since I saw the previews for "A Simple Favor", I was intrigued by the film. Then, I found out that movie was actually based off a book and it has been on my 'to read' list ever since. I finally used an Audible credit toward it last month and finished it within a few weeks. It's important to note that I haven't seen the movie because I usually like to read the book before seeing a film, however, I still imagined Anna Kendrick and Blake Lively as the main characters while listening. "A Simple Favor" is centered around Emily and Stephanie, two best friends with two little boys who share everything... or so they thought. When Emily goes missing, Stephanie is left with a ton of questions and the secrets slowly start to unravel. What Stephanie finds out about her so-called best friend leaves her stunned and unable to understand why Emily lied about her life. So... I'll start off with this, I really enjoyed the book. I thought it was well written, an interesting story and I liked how present times with social media and blogging played into it. It's nice to see a book weave in current technology to a plotline. From the book summary and movie previews, I didn't know too much about the plot but once I was about halfway through, I kind of figured out what was going to happen. It was a little predictable if you paid attention and when the secret twist was revealed, you weren't surprised. However, I was still shocked which is weird, like the reveal was not anti-climatic in the slightest which I can always appreciate. There were definitely times throughout the book where I was surprised by where the book headed, even the ending was shocking but I was nodding my head along, knowing everything made sense. I think the character development was really good, for such a short book (it seemed short to me, at least). 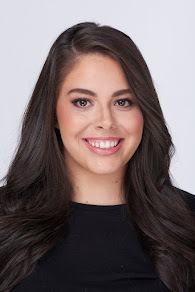 Stephanie started off as a typical suburban mom, very focused on her kid and doing everything for him; however, she had many secrets that made me cringe along the way and that was definitely unexpected. It was a weird twist that added more layers to the story. It showed a different side to Stephanie and that added a lot of depth. At the start of the story, you think Emily is one person but by the end, you can understand why she does the things she does while also thinking she's a bit crazy. 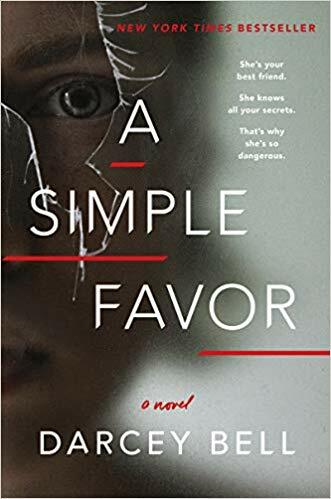 The best way to describe "A Simple Favor" is chick lit mixed with the dark, true crime novels I love so much. If you're in the market for a light, easy read mixed with a bit of drama and mystery, I think you'd like this book a lot. Did you read "A Simple Favor"? What were your thoughts?